Love this image Patricia. 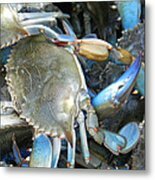 The color blue is great and the pile of crabs is way cool! Thank you Thomas. 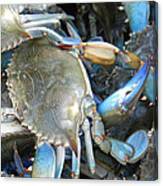 Blue crabs are everywhere here, easy to catch and cook, hard work and messy to eat:-) tasty though. 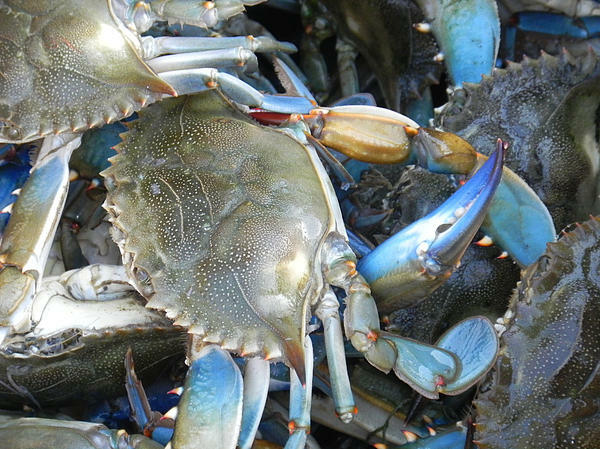 Great capture of one of the low country's treasures. I came across and old fisherman in the marsh one day and he was complaining because he wasn't catching any fish, but he had a 5 gal bucket full of blue crabs! Thank you. John I appreciate the compliments and marketing effort. Thank you all for the kind comments. If I had a macro lens I would be dangerous, yes? 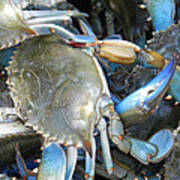 Ahhh, blue crabs -- Maryland's specialty is steamed crabs... yummy! Excellent shot! Plus, I faved and voted! Love the blue hues on these! Fantastic closeup, Pamela! Great detail!